The production company behind the blockbuster Hollywood hit “The Wolf of Wall Street” has itself been hit with a $60 million fine for overseas corruption. Production company Red Granite Pictures Inc. has agreed to pay the U.S. government for taking part in a Malaysian money laundering scheme, which looted $1.7 billion from a Malaysian-owned investment fund, the Los Angeles Times reported. The U.S. Department of Justice said the fund managers used their investors’ funds to buy real estate in New York and California, a $35 million jet, a $260 million yacht, and paintings by Vincent Van Gogh, Claude Monet, and Jean-Michel Basquiat, and photographs by Diane Arbus, plus an original poster from Fritz Lang’s 1927 science-fiction film “Metropolis,” valued at $1.3 million. The fund, 1 Malaysia Development Berhad Fund, (1MDB) was created by the Malaysian government to promote economic development, the Times reported. Malaysian Prime Minister Najib Razak oversaw 1MDB. Razak’s stepson Riza Aziz was a co-founder of Red Granite Pictures Inc. The Justice Department believes $155 million of the laundered money ended up in Red Granite’s accounts, Deadline Hollywood reported. Aziz has claimed since the investigation was made public in February 2016 that no one at Red Granite productions had any idea where the money had been coming from. Deadline Hollywood reported that the “Metropolis” poster hangs in Aziz’s office. Red Granite Productions decided to cooperate with the government in April 2016. “We are glad to finally put this matter behind us and look forward to refocusing all of our attention back on our film business,” Red Granite said in a statement in September 2017, according to the LA Times. The deal was approved on March 8, 2018, by a U.S. District Court in Los Angeles, Fox News reported. Some of the stolen money funded “The Wolf of Wall Street,” directed by Martin Scorsese and starring Leonardo DiCaprio as an unscrupulous investor who steals his fraudulently obtained funds to finance his jet-setting, yacht-sailing lifestyle. The film grossed $392 million in its original theatrical run on a budget of about $100 million. 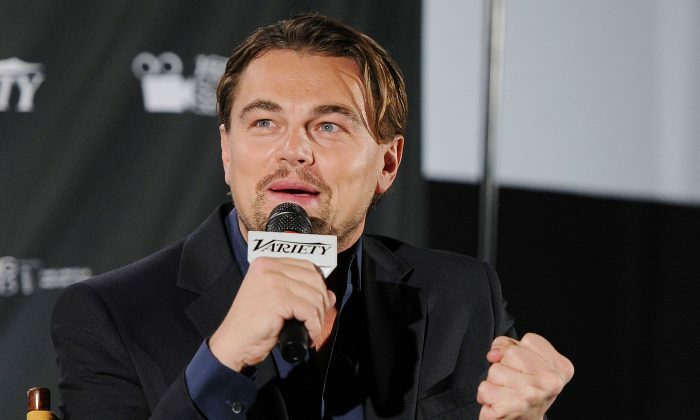 DiCaprio’s portrayal of the amoral investor won him best actor in a motion picture (musical or comedy) at the 71st Golden Globe Awards. The Justice Department is seeking to attach proceeds from two other Red Granite Pictures movies. “Dumb and Dumber to,” starring Jim Carey and Jeff Daniels, was released in 2014 and grossed about $170 million worldwide. And 2015’s Daddy’s Home, starring Will Ferrell and Mark Wahlberg, grossed about $243 million. Tesla's announcement of a second delay in Model 3 production tests the patience of customers and investors.